Thanks to housemother Donna Robinson, Alumni Board member John Wiese and all the others that helped to give the Formal Living room, Hallway, Foyer, and Library a little face lift with a fresh coat of paint. was held Saturday August 26th 12 p.m. This was our 3rd annual golf tournament for our alumni association! Saturday August 26th 2 p.m. It was a fun afternoon of golf fellowship and food. The annual meeting of the Alumni Association was held at Pink Rose in Sioux Falls on February 6th, 2016 at 2p.m. at the Holiday Inn, minutes will be posted soon. Congratulations to Alpha Phi Alumni Scott VanderWal for being elected National Vice President of Farm Bureau. 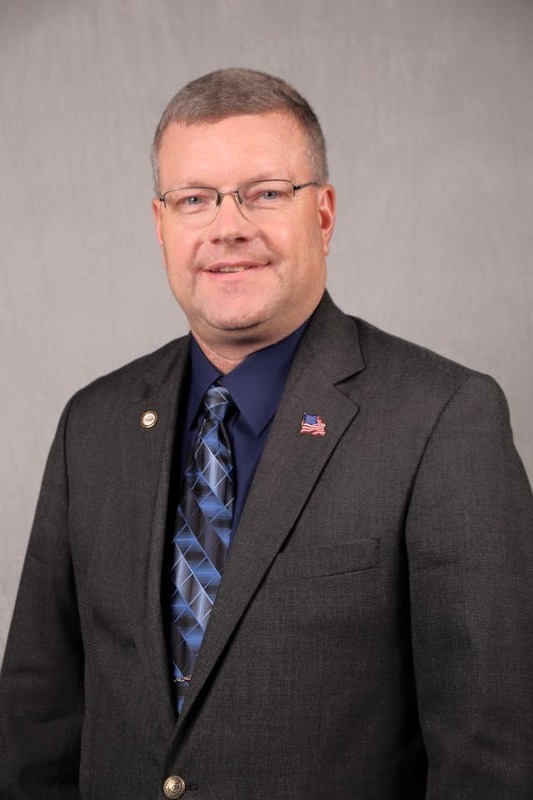 VanderWal, president of the South Dakota Farm Bureau, is the first ever from the organization to serve at the executive level of the national organization. 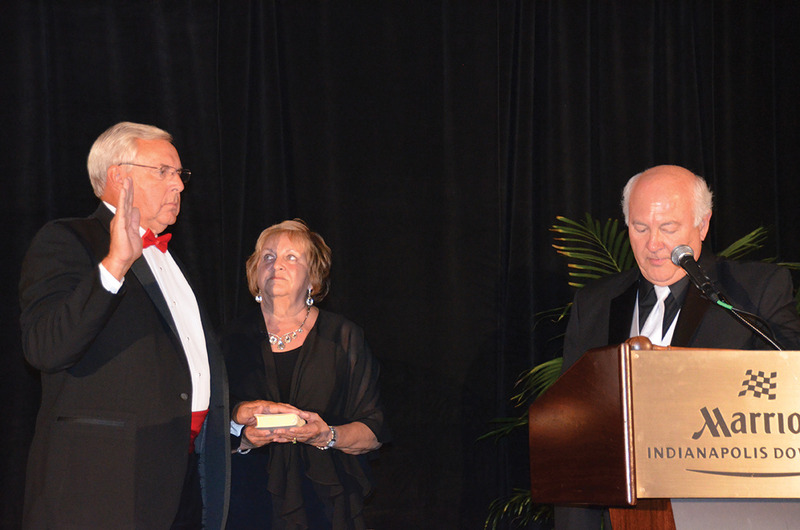 Scott has been the South Dakota Farm Bureau president since June 2004 and served on the national board for 10 years. He says he's ready to put his leadership experience to work to accomplish the organization's goals and become an even more effective voice for American agriculture. He farms with his family in Volga, SD. VanderWal says agriculture faces many political challenges in the year ahead, especially with the prospect of a new administration. He will serve with newly elected President Zippy Duvall of Georgia. A reception was held Saturday September 12th, to honor our National Grand President and Alpha Phi alumnus, Cal Willemssen and his wife Lynne, from 12:00 to 2:00pm at the chapter house. A pulled pork dinner was served. We had a good turn out and all the alumni that came had a great time getting to see old friends. Brad Garrison the Director of Development from the national office was able to join us in this celebration. 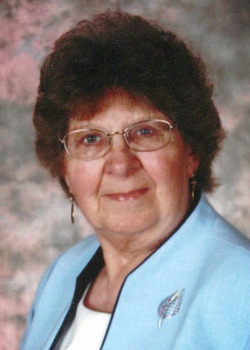 Helen Graslie, age 78, of Brookings and formerly of White, died Wednesday, May 13, 2015, at the Brookings Hospital. Visitations was 4-7 p.m. Monday, May 18, 2015, at Zion Ev. Lutheran Church in White. Funeral Services were at 10:00 a.m. Tuesday, May 19, 2015, also at the church. Burial followed in Fairview Cemetery. Eidsness Funeral Home is handled the arrangements. In Lieu of flowers, memorials are preferred to Zion Ev. Lutheran Church. Our heartfelt thanks to the AGR fraternity for your thoughts, prayers, love and support during this difficult time with the loss of our beloved Mother, Helen Graslie. She thought the world of all of you as she spoke fondly about each and everyone of you. May your memories of Helen remain strong in your hearts as she will ours. Wednesday May 27th, the water heater in the house went out. Ekerns checked it and it was beyond repair. Water was leaking from the top beacase it rusted out. It was installed in 2007, Ekerns said 8 years for a commercial unit in Brookings is average or above because of the hardness of the city water. 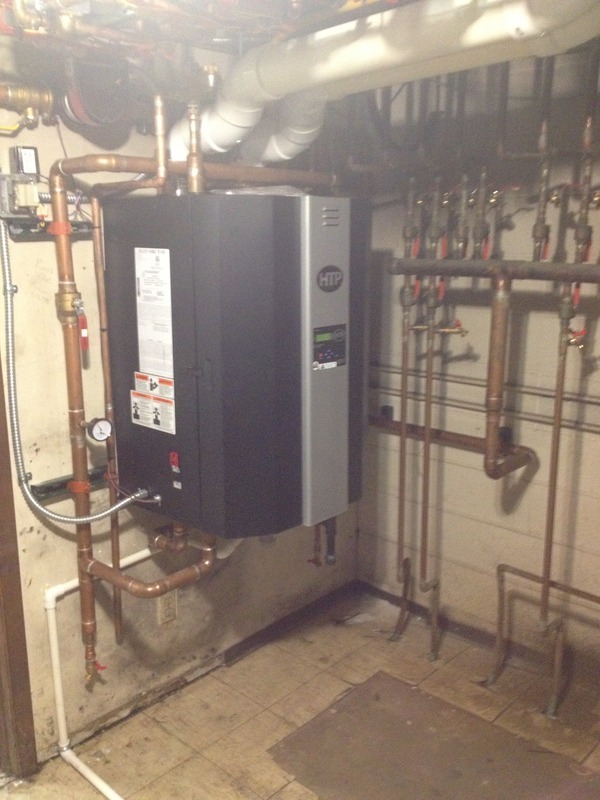 When the new boiler was put in last summer it was made sure to have future expansion for a water heater. To replace with a storage tank made of stainless steel, that would be 92-95% efficiency is going to cost rougly $6,900. (taxes and installation included). Vs replacing with a similar unit to what failed would cost $8,100 and only be 80% efficient. It was not a hard choice to go with the cheaper longer lasting more effecient option. The project will be completed by the first week of June. The water softener in the chapter house has quit working, it has been out for over a year. We sought out bids and received bids to have it replaced from three different companies. There are two types of systems we could replace it with a twin softener or a single. The board has tabled the subject of replacing it for now until funds are secured. Our housemother is Edith Riggs who was with us for 12 years and enjoyed helping the brothers when in need if its just a button that needs sewing, or someone to talk to and give advice, as well as helping the house cook out, decorating the house, and keeping up a scrapbook. As I start to pack for my move to Colorado I feel many different emotions. I am thrilled to be near my family. The long drives will be over and of course they are happy I am moving out there. I have been so blessed by the men of Alpha Phi for the 12 years I have been the housemother. I will think about all of you with the many memories that were created during these years quite often. It is such a joy to watch you come in as freshmen and see the growth you achieved during your time here, there is much potential in all of you. Keep on the path your are on, continue to have a lot of fun together, continue to grow and be the best men you can be. Thanks for the great ride. Alpha Phi’s own Cal Willemssen recently took over the reigns and was elected to serve as the national Grand President for Alpha Gamma Rho. Willemssen is in the first 100 members of Alpha Phi and was initiated in 1966. The Clear Lake, SD farm boy recently retired as the executive vice president of The First National Bank in Sioux Falls after spending 30 years at the bank. Those of us who were able to attend Pink Rose in Sioux Falls were able to hear inspiring words from Brother Willemssen and all of us are extremely proud of his ability to give back to our Fraternity. Looking back on his successful professional career, Cal encourages fellow brothers of Alpha Gamma Rho to seize each opportunity that presents itself and heed the advice of your “inner circle” of friends and mentors. Brother Willemssen has been an active participant in previous chapter planning sessions with the Alpha Phi Chapter and cites those leadership development experiences as crucial to truly “building better men”. 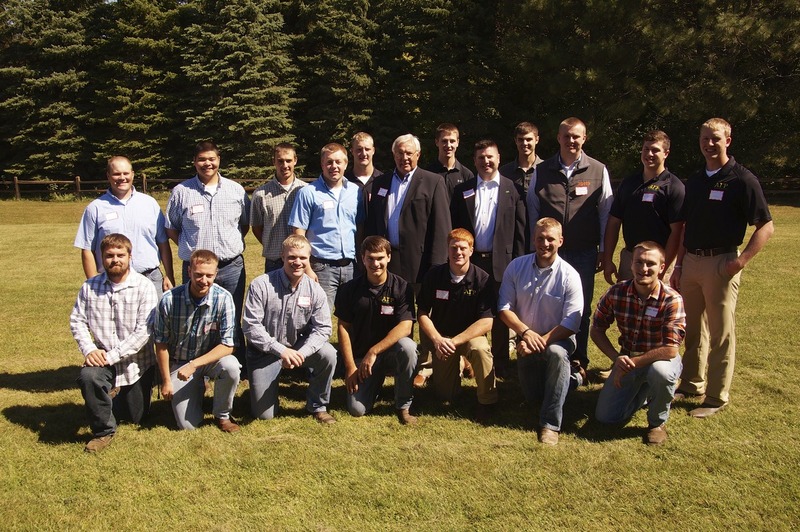 Heritage of our exemplary fraternity is important to Willemssen and during his tenure as Grand President he will make it a priority that our current and future brothers of Alpha Gamma Rho are sharing and living the history of AGR. Utilizing our professional network to the fullest extent proved to be extremely beneficial to Brother Willemssen. Starting his career after graduating from South Dakota’s Land Grant University working in Extension and also with the Sioux Falls Chamber of Commerce he has been able to tell the full story about the business and economic importance of production agriculture to our urban friends. While building his network and working for The First National Bank of Sioux Falls Willemssen served on the Chamber Agriculture committee and often serving in leadership roles with the Chamber. The South Dakota State University Foundation Board of Trustees is fortunate to have Cal’s talent and expertise and all of us as fellow brothers of Alpha Gamma Rho are proud to have one of our own on this important board. With well over 1000 alumni of Alpha Phi Brother Willemssen encourages us to build each other up especially within our network of brothers to build the chapter up to support the active members and truly activate our alumni membership. Alumni president Dr. Jason Johnson reported to the large gathering of alumni at the 50th Pink Rose alumni meeting, that the original boiler, installed in the mid 70's with the building of the current house; would no longer be allowed to pass the annual inspection, according to the city inspector. An alumni committee of Tyler Fruechte, Dave Hove, Keith Goehring, and John Wiese, began to solicit bids from three area contractors. The bids came in as follows: Lemmes (Volga)-$19,550; Midwest Mechanical (Sioux Falls/Brookings)-$19883.92, and Ekerns (Brookings)-$19,436. The bid of Ekerns was accepted at the May 18th board meeting. The project included a high efficiency, modulating boiler, with future domestic water heating capabilities, should our current commercial water heater need replacing in the future. The project was completed towards the end of July.